The initiative to visit BRUSSELS INNOVA came from the InterNations Brussels Singles activity group. Three of us met in front of the Hall 10 – Brussels Expo on Friday afternoon and started exploring the world of inventions. Going on Friday was a good decision since it was not crowded and we had the opportunity to talk with the innovators and get detailed information about their products. I was impressed to find out that the highest number of international inventors came from Poland (24), followed by Russia (9) and France (7). Romania was also represented by one exhibitor whereas Bulgaria was not. Professionally I was most interested in the innovations related to disabilities. 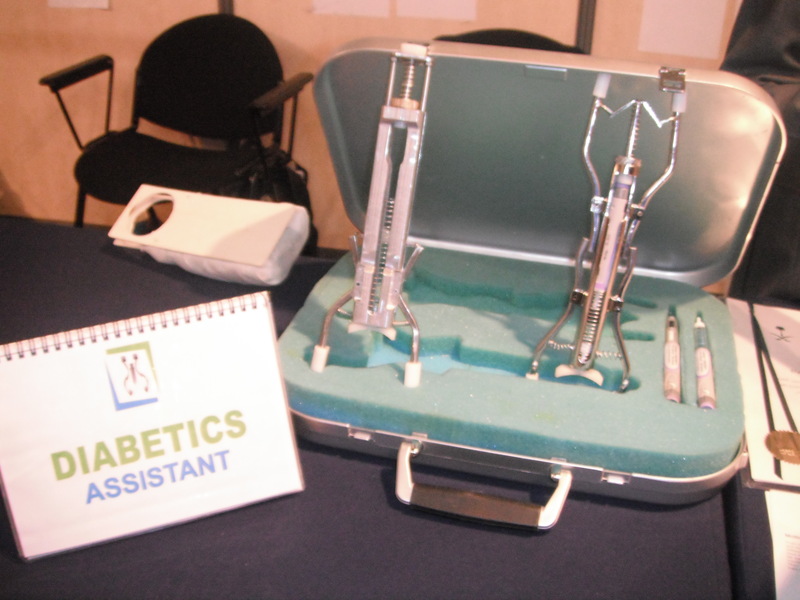 First I talked with a 15-year old boy from Saudi Arabia who had diabetes and had invented a Diabetic Assistant device. It is a small and portable device (manual or electronic), which helps diabetic patients inject their shoulder by insulin using one hand only without help. We also tested a device showing how much alcohol one has had so that they can self-control their consumption. I had just had a glass of champagne at the small reception given by a Croatian minister and this was detected by the device but, according to some table with amounts, I was still allowed to drive. At another stand we were taken pictures and given a baggage identification sticker with our image (and phone number) on it. Once put on a suitcase it cannot be removed anymore. I haven’t tried it yet since I am not sure that I would like to have my smiling face constantly exposed to every stranger. It was dark when we went out. 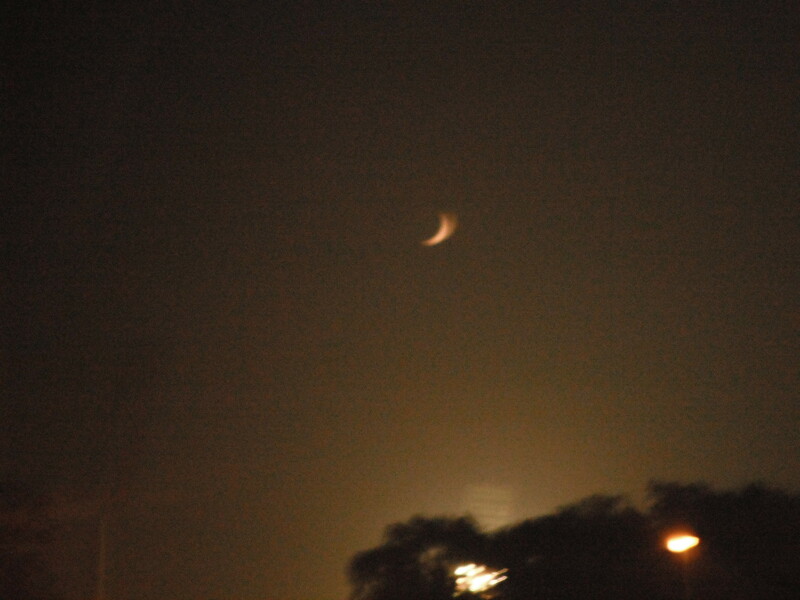 And a slender moon was hanging in the sky. 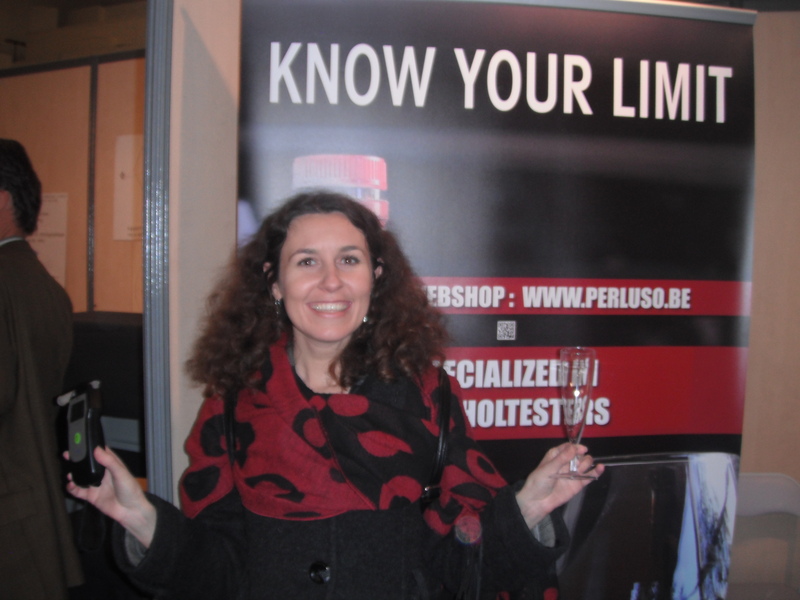 Visiting BRUSSELS INNOVA has been fun, useful and inspiring.